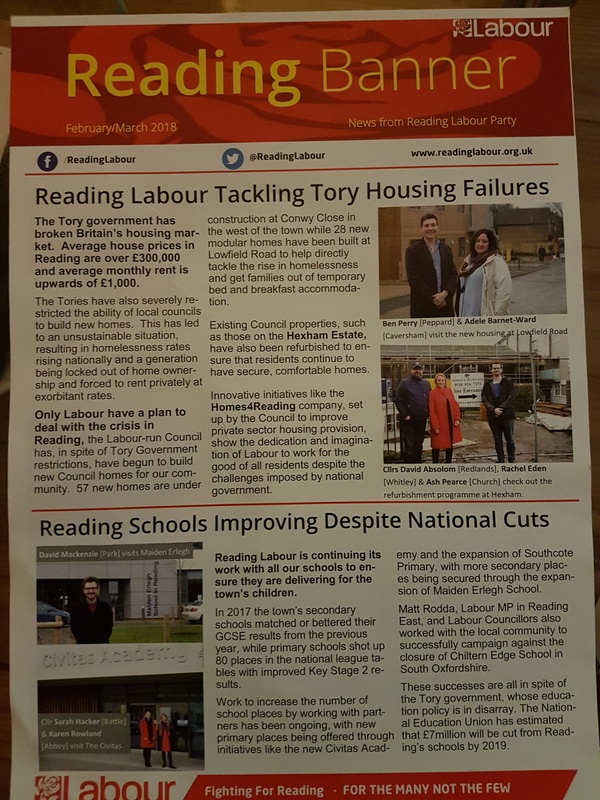 The Reading Banner, the Labour party cross town newsletter will be delivered to all households in Church Ward over the next month. 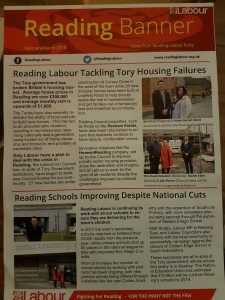 It includes stories on health, housing and education. This entry was posted in Ward News on February 8, 2018 by Ashley Pearce.